These four couples have deservedly reached the FINAL competition for “Bailando en Havana”, which has been scheduled for Thursday, May 28th!!! Once we get confirmation from the event organizer, we will announce the special guests and other relevant details for this exciting TV competition’s grand finale. 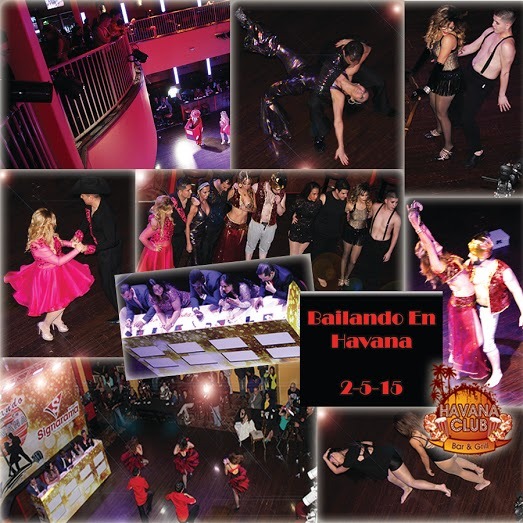 The long anticipated “Bailando En Havana” TV competition started on October 28, 2014! Twenty local celebrities have paired with excellent dancers to compete for $10,000 in prizes. Each couple has selecetd a foundation to receive the cash prize. Restaurant and full bar open during these events, which are open to the public. The next event is on Tuesday 11-11-14 and after it, all the other events will continue to be televised in front of a live audience during most Thursdays of the next months. The TV show will air in Televisa on Saturdays. Please check our Facebook page for details and updated information: www.facebook.com/havanaclubmcallen.